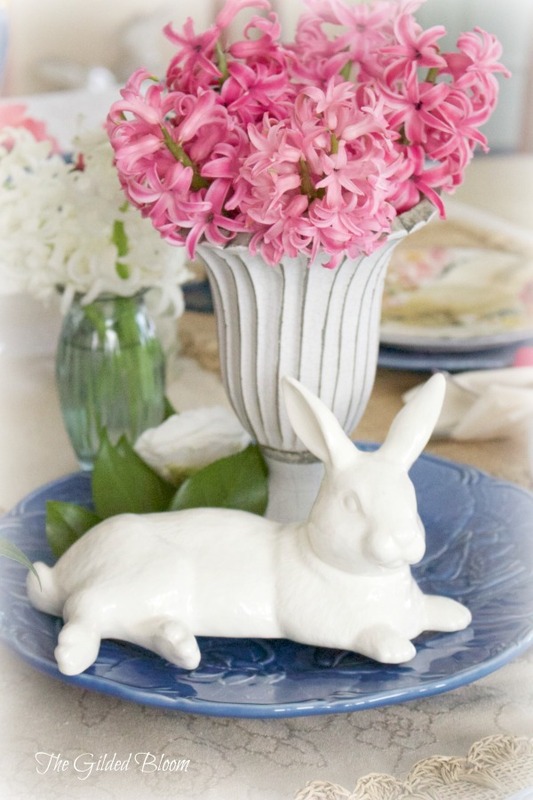 As September approaches I am bringing warm and vivid hues into the home for early fall. 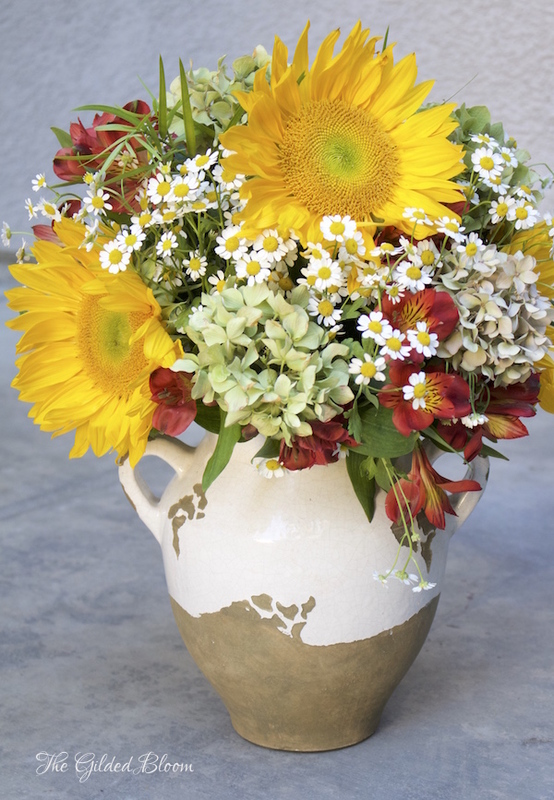 Golden sunflowers, rust Peruvian lily, green hydrangeas and chamomile provide a vibrant mix of color in this rustic farmhouse floral arrangement. 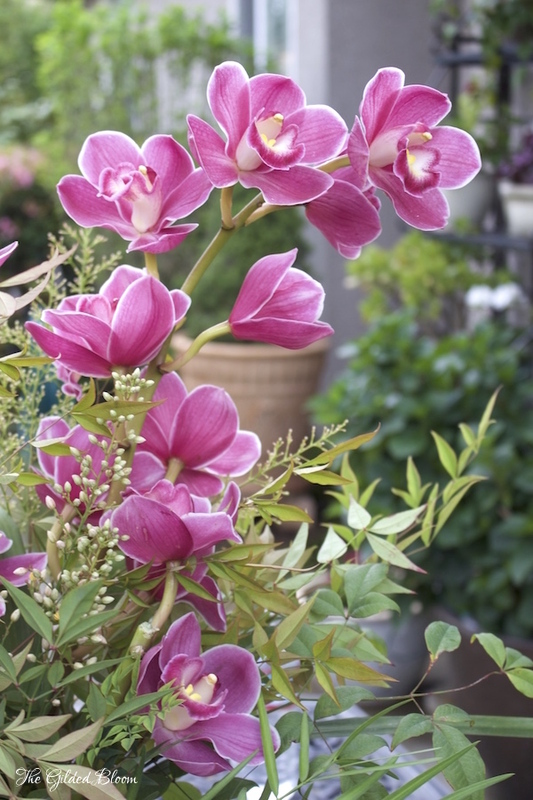 Creating a design like this is simple with the right flowers and container. 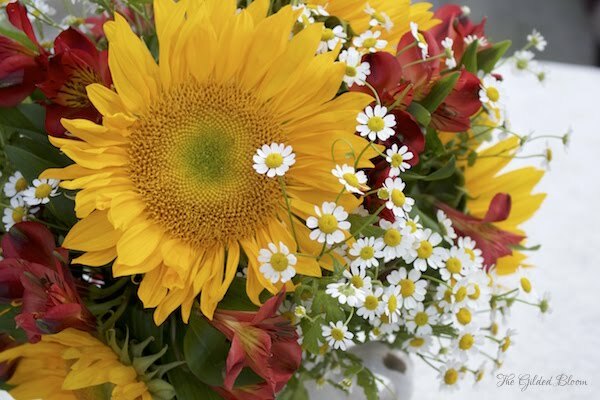 Choosing flowers that have a textural quality like sunflowers, wildflowers or grasses will give a country aesthetic as they appear to come from the fields rather than the florist. 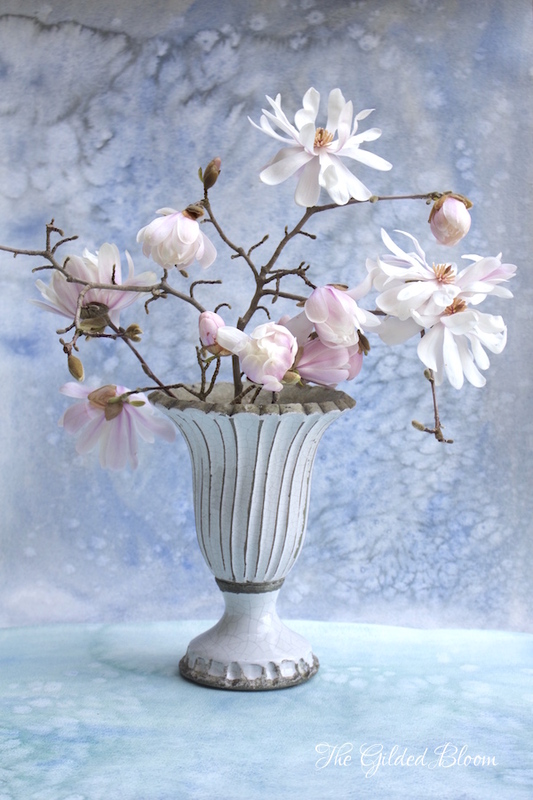 Weathered terra cotta, copper, or galvanized steel containers all suggest a rustic style and complement the beauty of farmhouse decor. 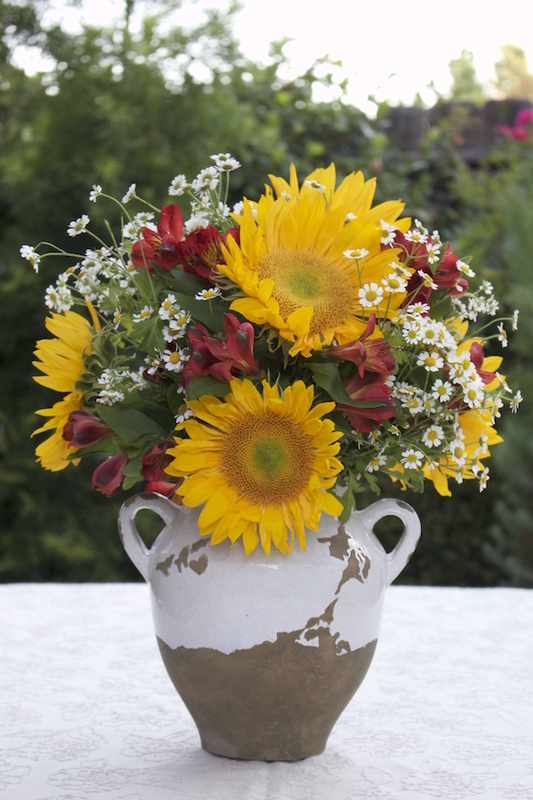 In this design, the bold yellow blooms of the sunflowers provide a colorful statement in a neutral terra cotta urn and reflect the casual elegance of the country. 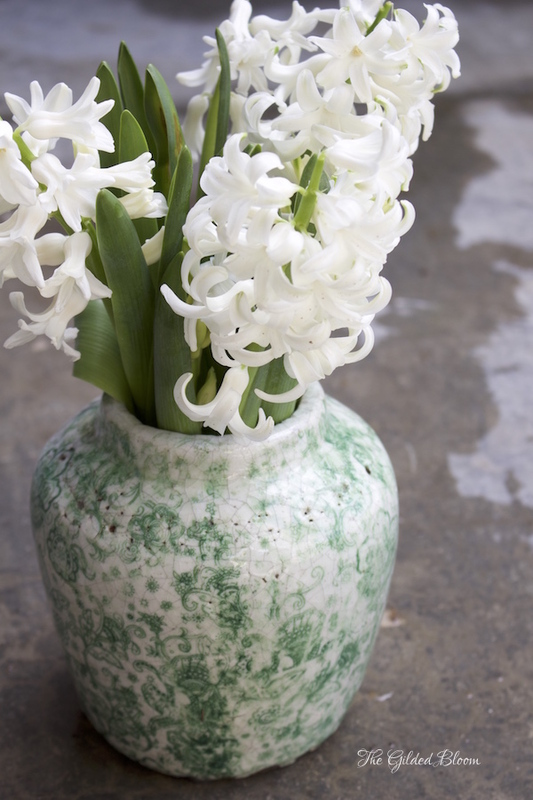 To create this look, cut the sunflower stems at different heights and insert them into the vase of water. Then add the hydrangeas between the sunflowers and fill in with Peruvian lily and chamomile. 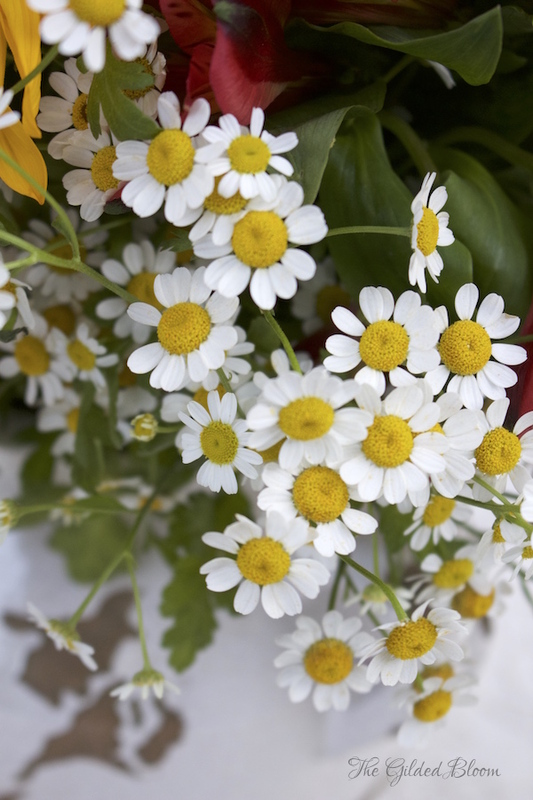 Sprays of blossoming chamomile interspersed throughout the vase add an element of texture and a sprinkle of light to the otherwise richly colored flowers. 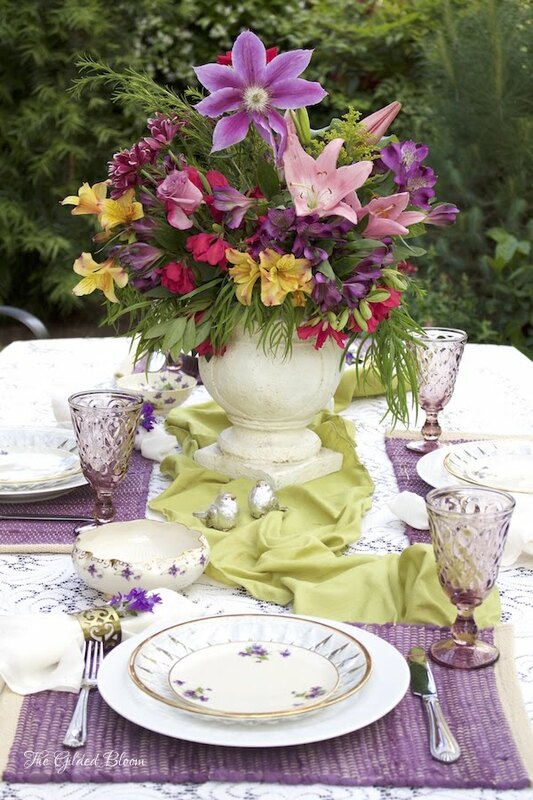 Rust Peruvian lilies balance the use of gold and set off the more dominant sunflowers in this design. 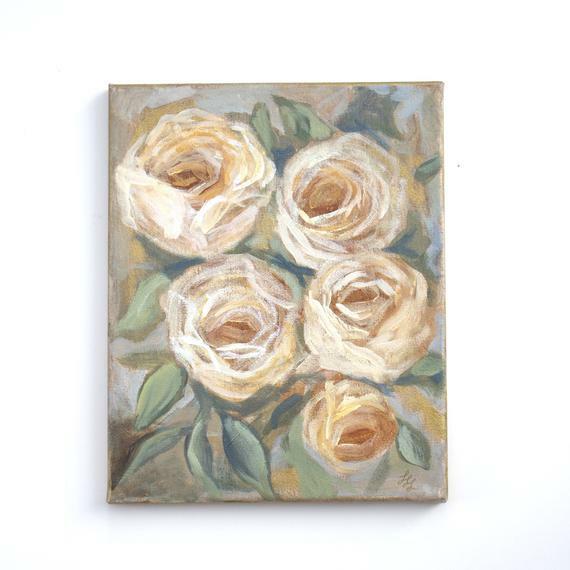 In addition to bringing farmhouse style into the home I've also been bringing it into the studio lately! 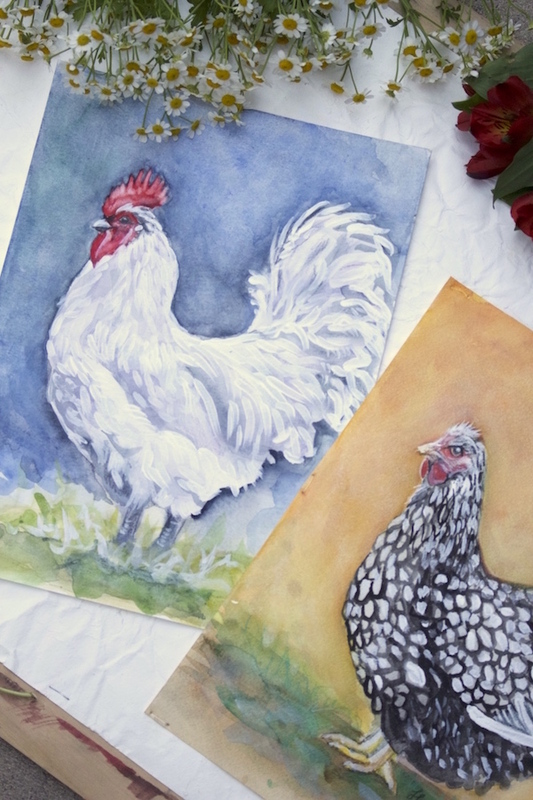 These are a few recent watercolor studies of chickens that I've painted to explore the colorful beauty of their feathers. Enjoy!